No deal has been reached yet. CTU President Karen Lewis has scheduled a press conference at 10 pm. The CTU’s House of Delegates (equivalent to PJSTA’s rep council) would have to approve an agreement and they have not been called to meet yet. More after the presser. CTU and officials representing the Chicago Public Schools have been in negotiations for most of the weekend. While some progress was reported yesterday, a settlement was still not reached. The two sides sat down again this morning and neither side has made a statement since then. It is believed the district is sticking to the elimination of steps in the contract, which could obviously be a sticking point. This site gives you information on how you can buy lunch for a teacher who is picketing. Donate to the CTU’s solidarity fund. Post a message of solidarity. 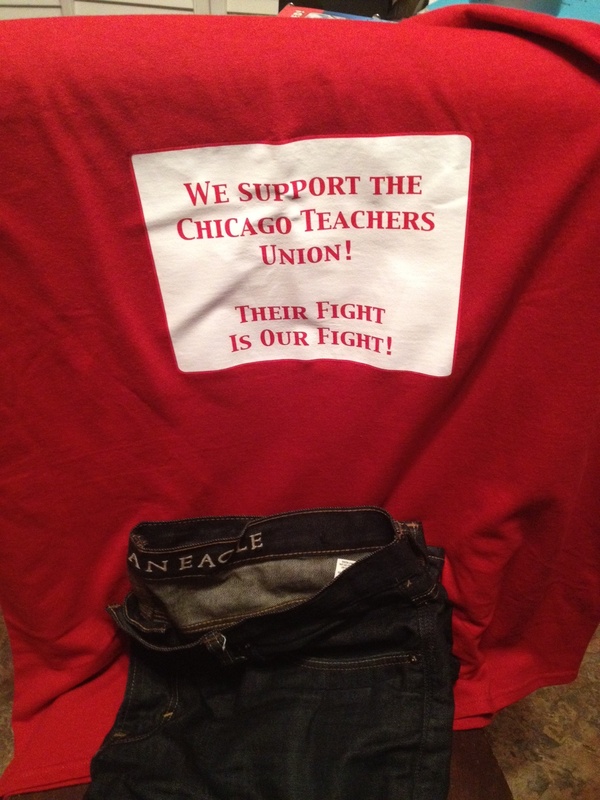 As always, you can follow the action on Twitter with the #CTU hashtag or by following @CTULocal1. Or of course you could just keep checking thepjsta.org! This entry was posted in General and tagged CTU, labor, strike. Bookmark the permalink.